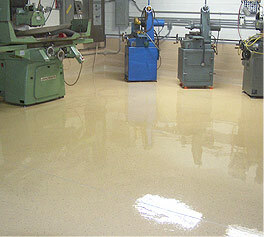 Borbet Flooring - Industrial & Commercial Resin Flooring Specialists. Domestic Garage Flooring-Installers. 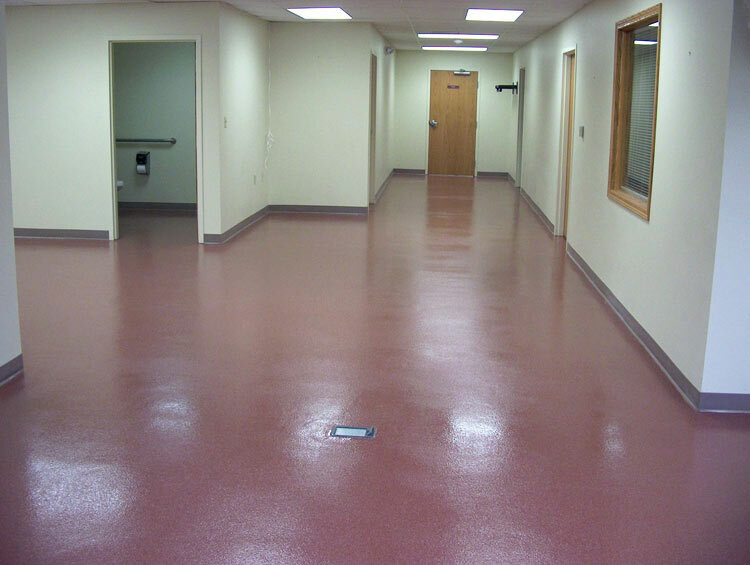 Borbet Flooring provides a wide variety of services to meet the requirements of the customers. Since every particular project is different, you can rest assured that Borbet Flooring will provide you with a customised solution that suits your particular needs. 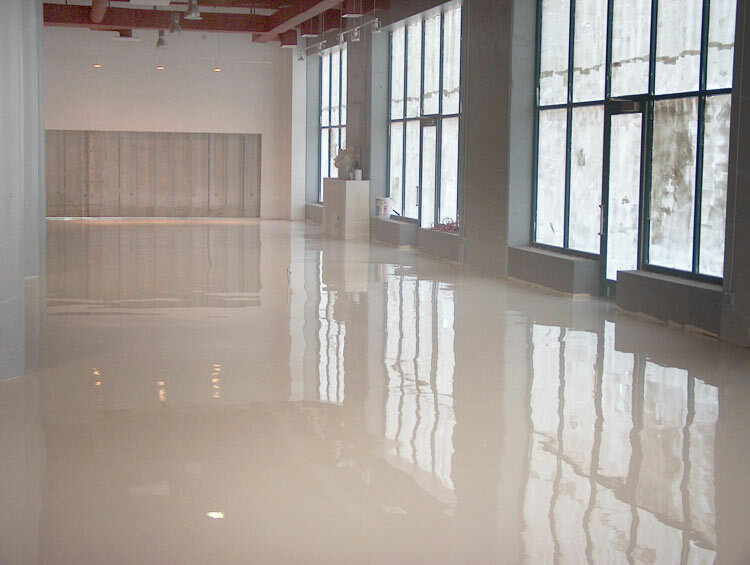 Borbet Flooring preparation process is CAREFULL, CLEAN, CHEMICAL AND DUST FREE. Good preparation is imperative for a long lasting, durable flooring. 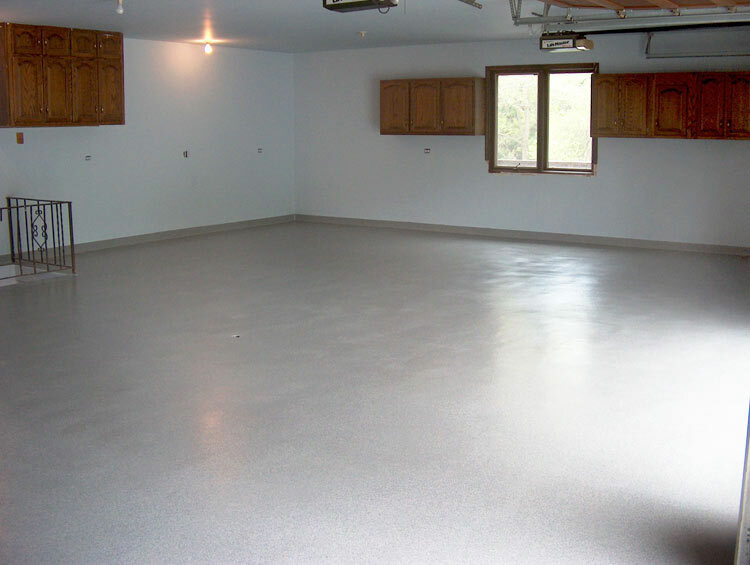 Our state-of-the art methods use the latest technology of abrasive blast cleaning, scarifying, grinding, and diamond polishing to ensure proper bonding of materials to your concrete floor. Oily, greasy, peeling floors are no match for us. 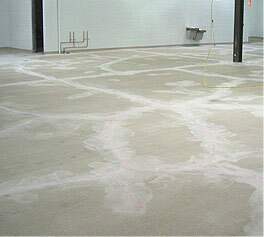 Good surface preparation is imperative for a long lasting flooring. 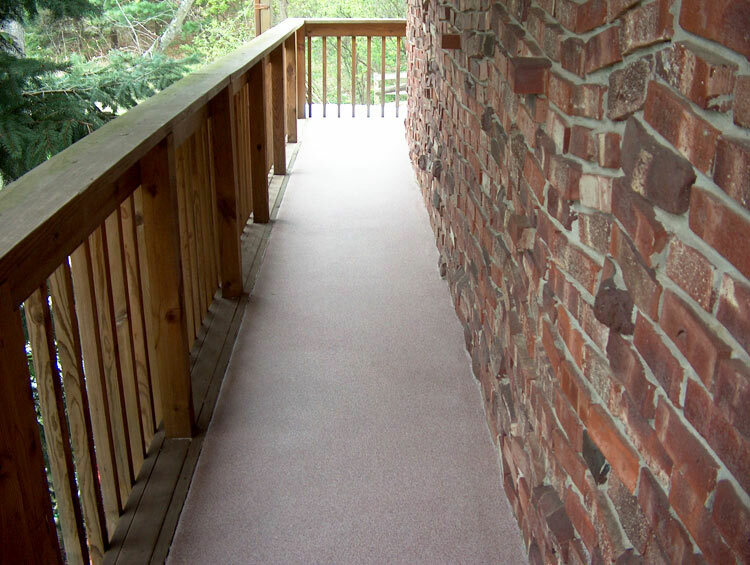 We will ensure that your concrete is ready for application. Shot blasting is a cost-effective and environmentally friendly method used on concrete and steel surfaces which prepares the surface for the application of a coating, paint or sealer. 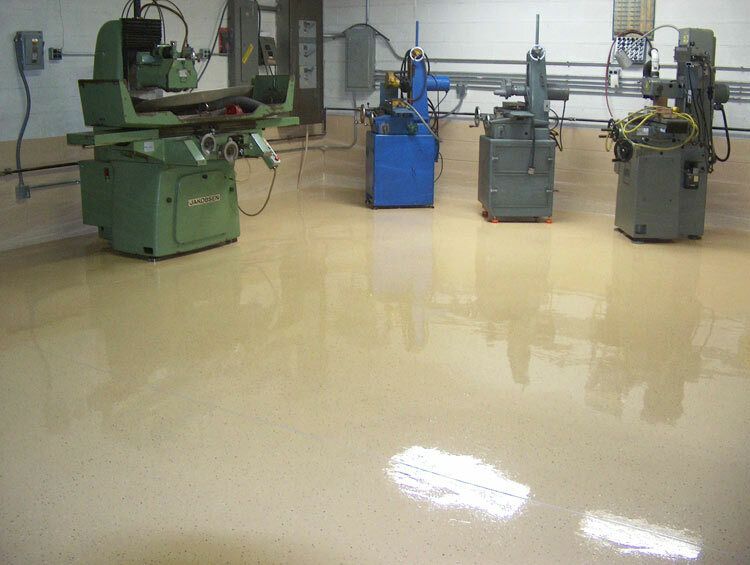 It leaves the surface immediately ready for the application of coatings or overlays-eliminating drying time and costly disposal procedures associated with other surface preparation methods. 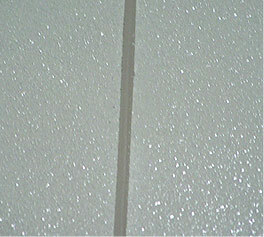 A surface profile is needed to provide a grip or "teeth" to which the coating can be attached. Shot blasting is the preferred method of surface preparation, recommended by most coating manufacturers. 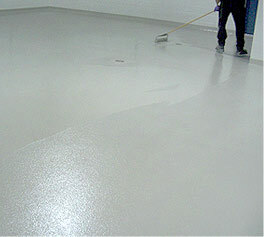 It produces excellent bonding characteristics that promote reduced coating failure and maximum floor life. This method cleans the concrete and removes thin and thick layers of coating it is very effective in concrete preparation and floor finishing. 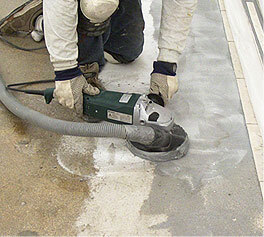 Grinding provides a safe, convenient, and cost-effective method for preparing concrete surfaces while keeping the air virtually free from concrete dust and other contaminants. Scarifiers are a key addition to your surface preparation arsenal. They are useful and versatile machines for a wide range of jobs. These systems control dust while scarifying, planing, cleaning and resurfacing concrete, asphalt and steel, when used with an appropriate dust collection system. Concrete cracking appears sooner or later on the surface. Cracking can be the result of one or a combination of factors such as drying shrinkage, thermal contraction, restraint (external or internal) to shortening, subgrade settlement, and applied loads. Cracking cannot be prevented but it can be significantly reduced or controlled. The presence of cracks in the concrete of warehouses, factories or any other industrial facilities can cause tripping hazards and the formation of bumps in the surface. Unrepaired cracks can lead to their widening and increase in size; this can be problematic as they then begin to collect debris and other contaminants. These contaminants can get into production lines, if they are not cleared out. However, removing these contaminants may become time consuming and costly the longer you wait. The repair of these cracks is necessary before installation; in addition, they are unsightly. 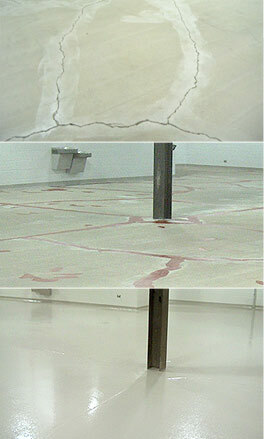 Concrete repair is another important step in floor preparation and repair that is often overlooked. It allows evening out the surface, and removing any contaminants. 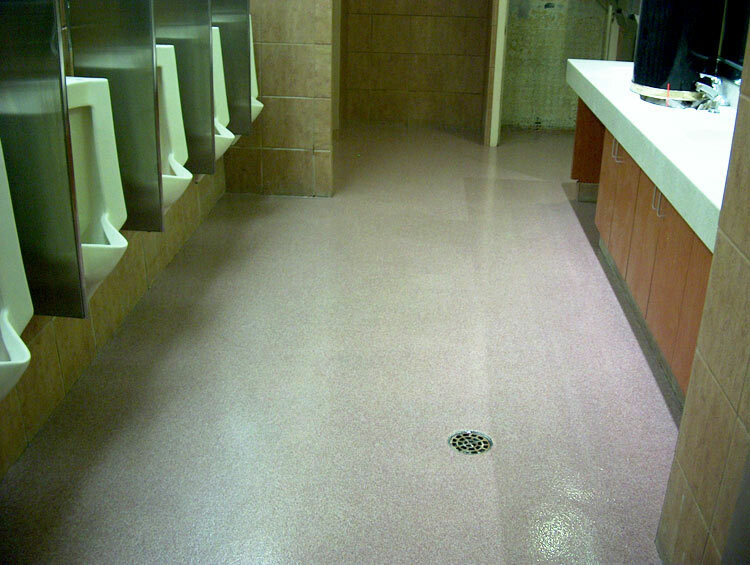 When Borbet Flooring is on the job you can always count on a durable and good looking professional installation. 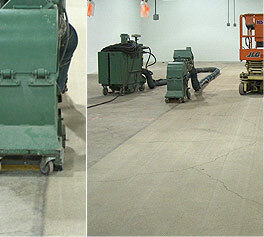 Borbet Flooring has the tools, experience and the know-how to restore and rejuvenate any flooring system. 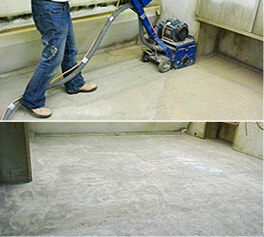 Borbet knows how to apply any type of the flooring system, using the most advance tools and equipment. 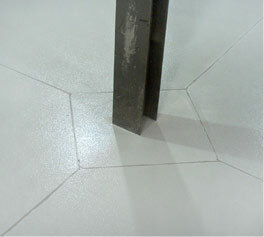 Borbet Flooring is an expert in installing top quality concrete flooring systems. We use the most advanced technologies and tools available to bring our customer total satisfaction. We understand that every given project requires an antique approach depending on specific customer needs. Cracks in the concrete cannot be prevented, but they can be controlled and minimised by properly designed joints. Random cracks make cleaning the floor difficult and, especially in areas such as food processing units, they can harbor bacteria. 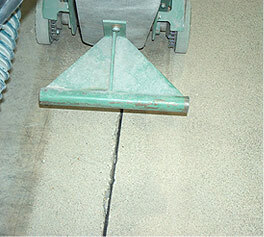 Cracks may increase in length and width when the floor is subjected to heavy use. Joints are neater in appearance than random cracks and easier to keep sealed and clean. In addition, a properly maintained joint is less likely to chip or widen than random cracks. Three types of joints can be used in concrete floor construction: expansion joints; control joints and construction joints. Expansion joints: permit independent, vertical and horizontal movement between adjoining parts of the structure. This helps to minimise cracking when such movements occur on their surface. They separate concrete slabs from columns, walls, footings, machine foundations and stairwells. No connection should be made across an expansion joint by reinforcement, keyways or bond. Reparation of expansion joints is essential to maintain the structural integrity of the building, especially when protective resin coatings are applied. Control joints: allow movement only in the plane of the floor, and control cracking caused by forces resulting from drying or cooling of the concrete. Construction joints: where two successive placement of concrete meet. They may be designed to permit movement and or to transfer load. These joints are more vulnerable to widening over time, since the concrete slab is often independent from one side to another. We can provide line marking solutions to separate areas and promote the efficient and safe use of your factory, store or warehouse. 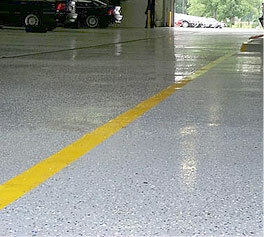 Line markings in industrial environments need to be durable and long lasting. Safety is key, and marking out internal walkways, pallet lanes, hatched boxes, equipment parking lines and drive through hatches in the working environment, will improve the way your business operates, as well as working with current health and safety regulations. Epoxy and MMA base systems are designed for as an integral part of the flooring systems to provide seamless wall to floor protection. 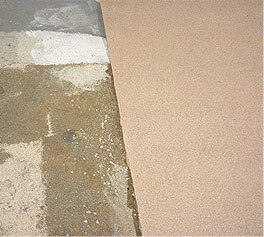 Cove base system can be applied to a variety of substrates, if the substrate is properly prepared. 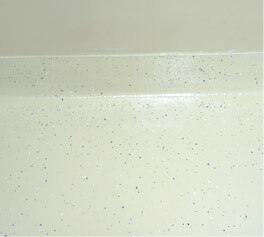 Priming insures maximum adhesion to the prepared substrate and helps mixed cove material to "hang" on the wall. 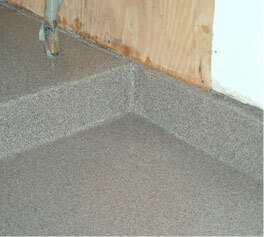 A cove base eliminates corners where contamination and bacteria can accumulate. We can install a cove base in variety high and shape. Areas: food facilities, pharmaceutical, chemical facilities, showers, bathrooms – facilities where wash downs of equipment, floors and walls are essential. Areas: hospitals, pharmaceutical facilities, beverage companies, chemical companies and kitchens to control bacteria, fungus, listeria, salmonella and other microbes.